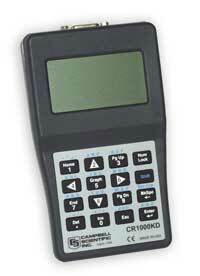 The CR1000KD is used to check datalogger status, display or plot sensor readings and stored values, and to enter numeric data or change port/flag state. One CR1000KD may be carried from station to station in a datalogger network. For those who want a mountable display, the CD100 has all the features of the CR1000KD. 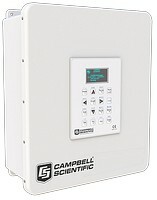 It is weather and dust-proof to IP66 so can be mounted directly into the enclosure lid for external access to readings.